If you are looking buy a solar generator, take a look at our list of the best off-grid solar generators on the market today. How does a solar power generator work? 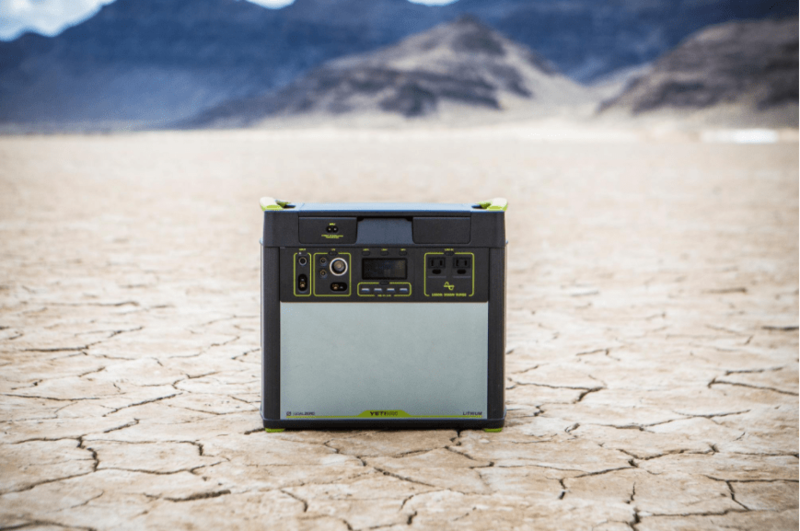 Great question if you plan on purchasing as a backup generator, and portable power source for camping or off-grid situations. Since this question has been asked a lot recently, we had to write a article about it. Down below we explain what a solar generator is, how they work, and the what to look for in a solar generator. What is a Solar Power Generator? A solar generator captures the sun’s energy, stores it in a battery source, and then converts it into useable energy. Depending on the size of the generator you can use it to power your TV, lights, laptop, fridge, fan, or AC. These generators are very passive and are perfect for those who live somewhere where fuel isn’t abundant or easy to access. Solar generators can create energy almost anywhere in the world. As long there is sun shining they can generate power. Unlike traditional gas generators, solar generators use a combination of components to power almost any device you throw at it. The process begins with solar panels, which have tons of photovoltaic cells. These cells allow photons, or particles of light to knock electrons free, creating a flow of electricity. In simple terms, solar panels capture solar energy from the sun and send it to the charge controller. The batteries of the solar generator then store this energy for later use. The amount of energy the battery stores determines what devices you can power by it. Meaning if you have a large capacity battery you will be able to power larger devices such low power fridges and ACs. The last component of a solar generator is the inverter. The inverter converts the direct current (DC) power from the battery or solar panel into alternating current (AC) power. This AC power can then be used to power your electronic devices. When looking at the best portable avenue of creating energy, solar generators and gas generators are always compared. These two options are both very effective, but each come with its own positives and negatives. Down below we compare these devices and give you our opinion on the best one. Gas generators work by converting chemical energy from gasoline (a fossil fuel) into mechanical energy and then into electrical energy. This process is very similar to a combustion engine that’s inside a car as it uses an engine and alternator. The gas combusts in the engine, which turns the crankshaft. The only difference is that instead of turning the wheels of a car, it turns a rotor in the alternator. The rotor inside a gas generator is composed of a coil of copper wire. While running, the copper wire spins past stationary magnets which induce a slight electrical charge in the wire. A gas generator does this process very fast and thus generates a significant amount of electricity. Pros Of A Gas Generator? Gas generators can run all day and night long. As long as you have gasoline there are no limitations to when they can be used. They’re easy to start and operate. You simply fill with gas, start it up, and let it run. Gas generators are typically compact and small. Their size to power ratio is very good and can be easy transported by one or two people. Gas generators are mass produces and are simply to make. This makes their price relatively low compared to other avenues of generating energy. Cons Of A Gas Generator? Gas generators burn gas which creates carbon monoxide. This contributes to the green house affect and isn’t good for the environment. Gas generators create a lot of noise when running. This can be nuisance especially if you’re near the generator. They are slightly dangerous to refill since fuel is flammable and toxic. Solar generators, a great alternative energy source, work by capturing the sun’s energy, storing it in a battery, and converting it into usable energy. This process is relatively easy, but requires multiple different components to do. The process first starts with solar panels. These panels capture the sun’s energy and send it to the charge controller. This charge controller then regulates the electricity and send it to the batteries. Once the battery is full the controller will cease all transfer of energy and prevent the batteries from overcharging. From here the battery stores this energy and gives you a battery bank to draw from. The last piece of the process is the inverter. This inverter draws energy from the battery, and converts it to usable energy that you can use. Pros Of A Solar Generator? Solar generators use renewable energy that doesn’t produce any harmful wastes. This energy is abundant and good for the environment. They don’t any sound. Making them ideal when camping or out in nature. They don’t cost any money to run. Solar generators can be used off-the-grid as you don’t need to refuel them. You simply need sunlight. They are completely safe since their isn’t any harmful wastes or fuels. Cons Of A Solar Generator? They can only generate energy during the day as they need sunlight. This means if you live in an area where sun isn’t abundant that they wont create a lot of energy. They also wont create energy at night which gas generators can do. They are larger and heavier than gas generators as you need a large battery and multiple components. Solar generators have a high upfront cost. Overall both options are great. If you live in a place where sun in abundant than its a no brainer to go solar. Its better for the environment and less expensive in the long run. On the other hand if you need instant energy 24 hours a day then gas generators are your best option. While solar generators aren’t perfect, they are very useful and perfect for certain situations. If you want to purchase your own solar generator then we recommend looking at solar generator kits. These kits come with all the necessary parts to start generating energy without the hassle of making the generator itself. Not only is buying generator kits more convenient, but its a smarter buying decision. Solar generator kits use corresponding products made by the same company, which means they will work effortlessly together. Allowing for faster charging times and preventing from damaging the system as a whole. Since solar generators are expensive, its essential to find the best kit on the market. In order to do this you need to look at a few factors. These factors will determine whether or not the generator is worth of the money. Down below are some of these critical factors. Read each and take them into account when making your buying decision. Not all solar panels are created equal. There are different types of solar panels that produce different outputs. Finding the most efficient solar panel is essential as it will produce more energy with less space. Out of all the panels monocrystalline solar panels are the best. They have high conversion rates into the 20s and are smaller compared to polycrystalline or thin solar panels. Monocrystalline solar panels are also the most recent technology. Meaning you will buy the latest solar technology available. 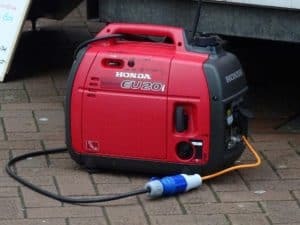 The battery capacity of the generator is a huge factor to consider when looking at different models. The higher the capacity, the larger items you can power. Larger generators simply store more power at a higher wattage. This means you can power larger items such as power tools, small fridges, and small AC units. Larger batteries are also more convenient as they allow you to go longer in between charges. This is simply because the battery is so big that it you wont use all the energy in one day. This of course depends on the actual wattage you are pulling from battery. When looking at different solar generators you want to keep in mind the amount of charging ports they have. Most large-scale solar generators come with multiple charging ports so you can power all your devices at once. In our experience you should buy a generator with at least 2 AC outputs, 4 USB ports, and multiple 12V outlets. This will allow you to charge multiple different devices at the same time. Portability is another huge factor to consider. 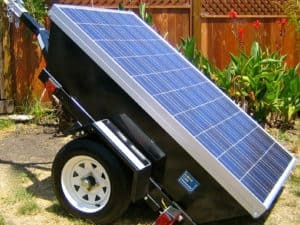 Since most solar generators are used while on the go, its essential to find one that’s somewhat portable. The only problem with this is that most generators are really heavy as they use large batteries. We recommend finding generators that use lithium batteries instead of lead batteries as they are lighter and smaller in size. It’s also a good idea to find a generator with a roll cart as it will make transportation easier. The last thing to contemplate before buying a solar generator is the warranty that it comes with. Most portable solar generators are expensive so you want to make sure you have a warranty to cover your investment. Most of these products come with a 1 year warranty or more.